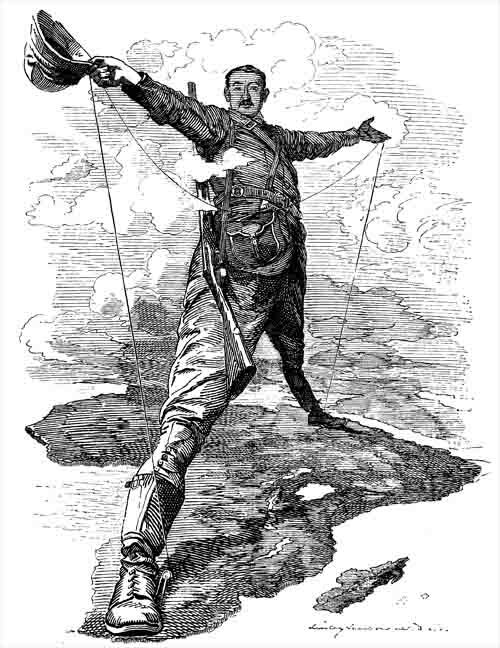 In this podcast Dr John Stuart of Kingston University London looks discusses Britain and the scramble for Africa; looking at motivations, how Britain's influence expanded so quickly in Northern and Southern Africa, the changing relations with other colonial powers, the two Boer Wars and their impact on Britain's perception of Empire. 3. West Africa, Egypt and Sudan: Trade, commerce and rivalry between Imperial Powers. 4. Depression in Europe: the need for raw materials. Imperial conquest as a distraction from domestic issues. 5. Anglo/French rivalry: The Fashoda Incident. 6. The First Boer War. The Zulu War. The Discovery of Gold and Diamonds. Rhodes v.s. Kruger. 7. The Second Boer War: Motivations, interpretations and consequences. The creation of the Union of South Africa and the First World War. 8. The impact of the Second Boer War on British public opinion. British perceptions of Empire. Critics of Empire. 9. British ideas of Nation and Empire. Empire as a means to export British values. Empire as an electoral issue. Empire and patriotism.